In your aviation career, chances are, you will fly internationally and this travel will disrupt your body’s natural circadian rhythm. This condition is jet lag, and it is a real concern for pilots. Pilots have to be awake and alert for air travel, for obvious reasons. And as a requirement of the job they spend their days and nights traveling through a myriad of time zones — and as they time-travel, they are increasingly susceptible to jet lag. Jet lag is essentially a job requirement when you are a pilot and at CPAT you spend time in our online aviation courses learning the skills and aviation techniques to better prepare you for encountering jet lag. 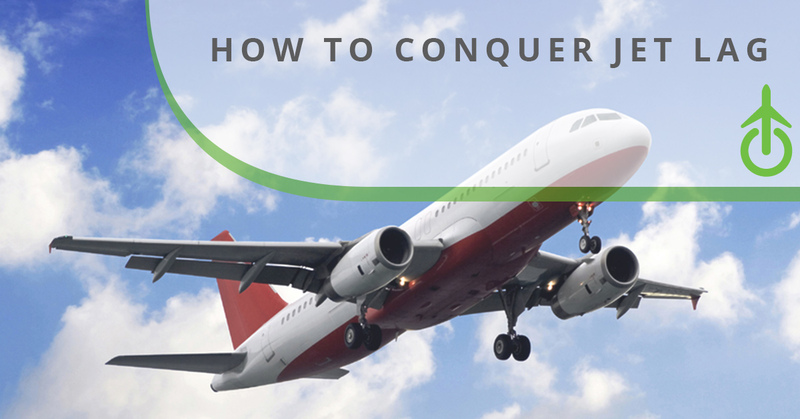 Join us in this post as we examine helpful tips for pilots to better conquer jet lag. Pilots don’t have the luxuries to take a break and sleep away their jet lag, so learning how to manage it is a skill. Jet-lag induced exhaustion and fatigue comes with the job, but there are some helpful tips to elevate your jet lag experiences as a pilot. 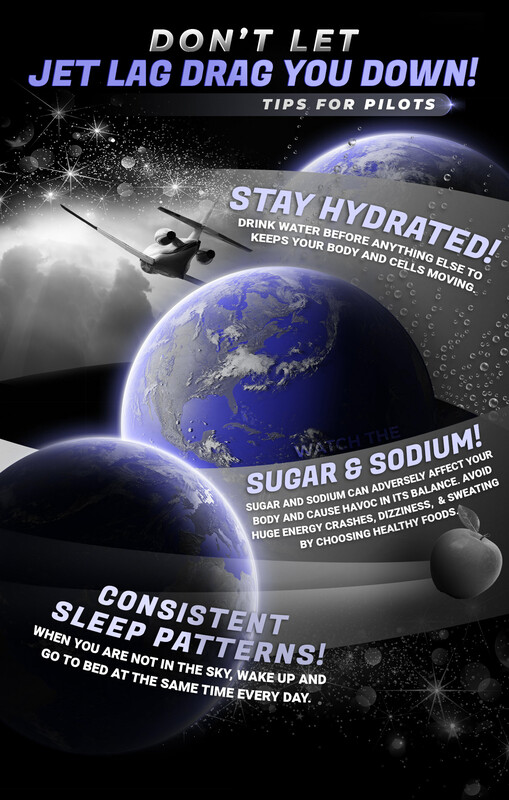 Hydration doesn’t seem like a way to curb jet lag, but many seasoned pilots swear by it. Drinking water helps keep things circulating and moving, and there is no ups and downs or sudden energy crashes that you typically experience with sugary drinks. Drinking coffee and other caffeinated beverages seems like a great idea, after all, most of us do it as a part of our morning ritual. It is often a suggestion made by airline companies for their pilots to limit their caffeine intake because, though it may make you more alert, it can cause other adverse side effects such as the jitters or GI discomfort if consumed in large quantities. Alcohol is another beverage to watch. Pilots of course aren’t drinking in the cockpit, but heavy alcohol consumption during off-duty hours can create concern when you hit the skies once again. Hangovers can be exacerbated in the skies and result in brain fog and disrupted sleep patterns — exactly what you don’t want when you are trying to combat jet lag. It can be hard to have consistent sleep patterns as a pilot, but adhere to them as diligently as possible — this means waking up and going to bed the same time every day. And because domestic flights don’t allow you to nap, it is critical to be well rested before you board the plane. If you fly overnight, stick to a nap. Flying overnight does a number on your internal clock, and though you may get to your destination in the early morning, resist the urge to sleep all day. Instead limit yourself to a two or three hour nap, and then get out and about with your day. Diet plays a crucial part in combating jet lag. It is easy to consume junk foods, especially when we’re exhausted, but this is exactly what you shouldn’t do. Processed foods are high in processed sugar and sodium that can do a number on your body by throwing things out of whack — you get extreme energy crashes with sugar and sodium can raise your blood pressure and make you feel dizzy or clammy. Instead, eat foods that are nourishing to your body, and largely, unprocessed. There are man tried and true ways pilots conquer jet lag and many are simple lifestyle adjustments. For the leading online pilot training that prepares you with the skills you need for the skies, reach out to us today!